A few days ago, I reviewed the lip portion (here) of Avon's Spring 2013 Zenergy Collection, and today I'm following with the corresponding nail portion. For a Spring collection, these aren't typical shades, yet when you see them on they do have a Spring-like quality in the sense that they're all fresh and happy. Inspire is an odd shade; pretty, but odd. In the bottle it looks like a yellowed chartreuse cream, but on the nail you get more of the yellow and only a hint of the green tones. 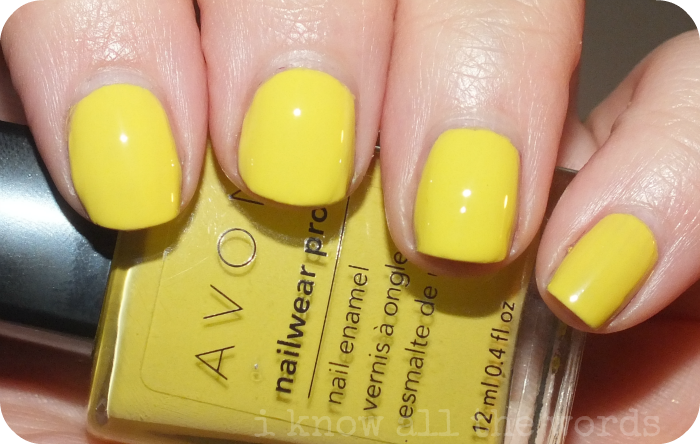 This shade has a fantastic formula! Two easy coats for the gorgeous shade shown here. Very fresh and perfect for spring. Serene is a slightly dusty turquoise cream with the slightest bit of baby blue lean. In the bottle I initially thought this was going to lean more towards being a Robbin's egg type blue, but the turquoise wins. It's a very pretty shade, and the formula is fantastic, but it's defiantly not unique. If you like this type of shade at all, you likely already have something similar. 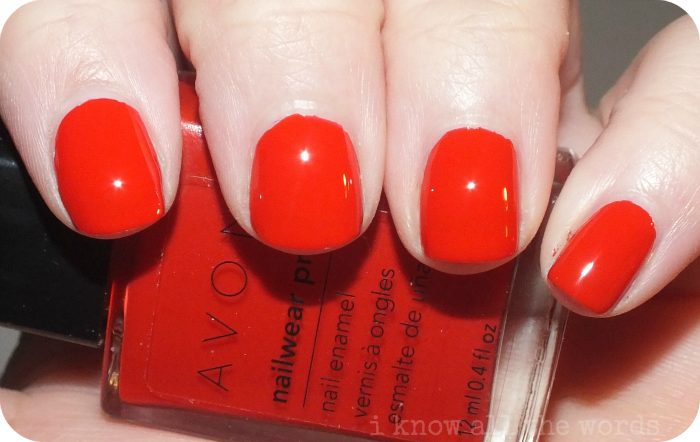 Make My Day is a fairly classic shade of red, but does have a bit of an orange undertone. This shade, like the others has a great formula, but did require three coats to fully cover visible nail line. Overall, these ploishes are all great creams. Some are not that unique, but great staples to have in a collection if you're missing a shade or two. What are your favourite nail colours for Spring?